Food Burnaby proudly participates in a number of events and festivals throughout the year. Stop by our white or bright green food trucks for a beer and try one of our signature, specially-prepared gourmet burgers and other delicious fare. You’ll find Food Burnaby’s food trucks - and other popular local food vendors - at various events around Burnaby, including the Burnaby Blooms Festival, Giro di Burnaby, the Blues + Roots Festival and more. April 20 at Burnaby Mountain Golf Course from 10am-1pm. This festival offers free golf clinics, custom club fitting, demo days, prizes and fun for the whole family. May 4 at Riverway Golf Course from 10am-1pm. This festival offers free golf clinics, custom club fittings, demo days, prizes and fun for the whole family. May 4-5 at Deer Lake Park. This annual event in the heart of Burnaby, formerly known as Rhododendron Festival, is being re-imaged for 2019 and will feature Fleur de Ville Jardin. Free admission. May 20 at Burnaby Village Museum. Celebrate Queen Victoria’s birthday in 1920s-style with a stroll and a bite at the Ice Cream Parlour or one of the food trucks on site. Free admission. June 30 at Deer Lake Park. Enjoy the sights and sounds of the Vancouver Symphony Orchestra (VSO) at this free event in the peak of summer. Come early, bring a blanket and enjoy the array of food trucks offering up everything from gourmet burgers and locally made ice cream to creative wraps and more. Free admission. Celebrate Canada’s birthday with a trip back in time to the roaring 1920s with some old-fashioned activities and great culinary options at the Ice Cream Parlour and special food trucks. Free admission. Party it up at this family-friendly Canada Day celebration with some arts and crafts, entertainment, music and, of course, some tasty fare from one of the colourful food trucks. Free admission. This rockin’ event will have you on your feet and partying through the afternoon and into the evening. Stop by one of the many food trucks for some tasty fare and cool refreshments – including cider and select wines. Valid picture ID required for alcohol purchase. Free admission. July 13 at Swangard Stadium. Come and celebrate the day the Fijian way at this family-friendly event with a variety of entertainment that includes local dancers, singers, a fashion show — as well as an array of tempting culinary options and refreshing drinks. Valid picture ID required for alcohol purchase. Free event. July 11 in the Heights neighbourhood (along Hastings and surrounding streets). 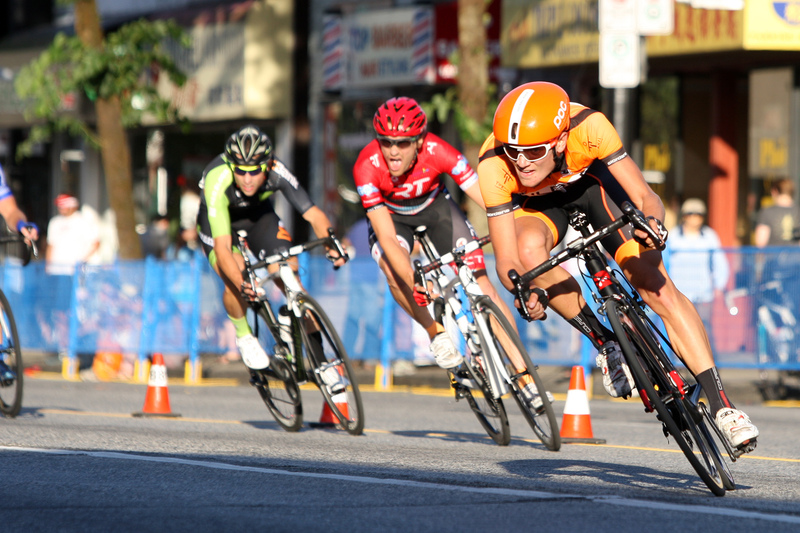 Be part of this popular annual cycling event through Burnaby, and grab a bite at one of the food trucks or relax over a cool drink. Valid picture ID required for alcohol purchase. Free event. August 10 at Deer Lake Park. This daylong music festival – and highlight of the summer season – boasts an array of musical acts on two stages, including performances by Feist, Lord Huron, Dan Mangan, The War and Treaty, William Prince, and Southern Avenue. This popular summer event also presents a myriad of gourmet food trucks and featured wine, beer and ciders. Valid picture ID required for alcohol purchase. August 28 at Deer Lake Park. Be sure to check out this Golden Globe nominated rock band live and in concert. This outdoor event in the heart of Burnaby also features a variety of food trucks, from gourmet burgers and cool treats to an array of beverages and more – along with featured wine, beers and ciders. Valid picture ID required for alcohol purchase. September 25 at Deer Lake Park. Don't miss the chance to see Grammy Award Winning Vampire Weekend perform live in the heart of Burnaby. Along with some incredible music, this event boasts an array of delicious culinary options such as gourmet burgers, ice cream, refreshing beverages and more - plus featured wine, beers and ciders. Valid picture ID required for alcohol purchase. Dates to be confirmed. Travel back in time for some old-fashioned fun and spectacular light displays at the 1920s Burnaby Village Museum. This festive village is home to colourful wreaths, cedar swags, beautiful displays and more. Pop into the quaint Ice Cream Parlour for a bite to eat, or visit one of the tempting food trucks. Free admission.